Books Go Walkabout has just started on a new journey, into e-publishing. The project is now able to publish books for authors and creative writers around the globe. Books go Walkabout is the e-publishing arm of SmithMartin LLP, the parent practice of Dolphinbooksellers. An exciting new adventure and we are pleased to start our journey with the first book in series called Writing about Africa. Short stories about Africa, fiction, travel, interest and lots more to come. 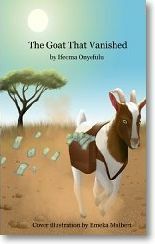 The first story, The Goat That Vanished is by Ifeoma Onyefulu. A story of a goat, some elders and a wedding gift that went wrong... a story of culture, humour and family life. 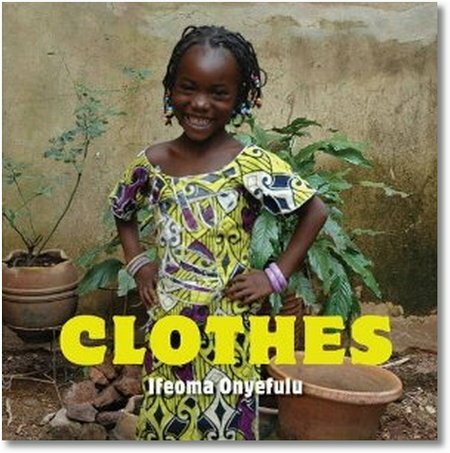 Ifeoma writes for children and uses her captivating photos of African life as she travels across the continent. Buy from the Amazon Kindle Store for less than the price of a cup of coffee here. Our publications are set to grow, in conjunction with the Worldreader programme, who provide 300 stories on a Kindle free to individual children throughout Africa. Great readers! Our publications are designed to feed into social projects supporting children and literacy in Africa, but their interest is world wide. already the story is available across the globe, in 9 different countries. A real success for Books Go Walkabout...join us on the journey. Ifeoma Onyefulu – New books about Africa – full of colour and life! Author The DolphinPublished on July 30, 2012 January 6, 2013 Leave a comment on Ifeoma Onyefulu – New books about Africa – full of colour and life! Ifeoma has recently visited Mali and some of her photographs can be seen in two beautiful books to be published by Frances Lincoln on August 2nd. The images bring to life every day activities for children and families in Africa, full of vibrancy and colour. These are unique and culturally diverse word books, with lots to look at and talk about. Hat, shorts, long skirt and top, wrapper...All kinds of things to wear, with a vibrant mix of Western and traditional African clothing. Mango, rice, plantain, okra...All kinds of delicious things to eat, with a vibrant mix of universal and African foods. Ifeoma makes frequent travels to different parts of Africa, carrying her camera and capturing smiling faces. On her last trip to Mali there was much to see and I guess it is a different place today. Ifeoma's website tells of her adventures. Ifeoma's blog is packed full of journeys and unexpected happenings in some of the remoter parts of Africa. Click on the links to the journey to Mali and the journey to Nigeria, and take a few minutes to get a real sense of what Africa is like. On her website you can also buy books direct through the Amazon link and get the best prices. Published on July 30, 2012 January 6, 2013 Categories Dolphinbooksellers, Featured authors, Featured children's book, Featured illustrators, New titlesTags award winning, dolphin booksellers, ifeoma onyefulu, picture booksLeave a comment on Ifeoma Onyefulu – New books about Africa – full of colour and life! Walkabout in November – autumn or spring? Author The DolphinPublished on October 29, 2011 Leave a comment on Walkabout in November – autumn or spring? Children and authors using exciting technology to talk across the globe. Next trip underway between Australia and the UK. Meetings planned with schools and classes of children. Great letters came back from 4D in Balgowlah Heights to Ifeoma Onyefulu,and letters to Lindy Batchelor in Sydney from Babraham Primary School. See them now on Books Go Walkabout. We are meeting with authors in Australia and the UK in the next few weeks,to build those bridges and bring more books and stories to children from all over. In Nigeria, children anxious to get hold of books, we can just make that happen and in an inexpensive way too. Keep in touch with the project Books Go Walkabout, maybe there are some links you would like to make. Published on October 29, 2011 Categories Book events, Dolphinbooksellers, Featured authors, Featured illustratorsTags balgowlah Heights, Dolphinbooksellers, ifeoma onyefulu, lindy batchelorLeave a comment on Walkabout in November – autumn or spring? A workshop with travels from Westacre to West Africa with Ifeoma Onyefulu, Saturday October 29th. We are working with the Westacre Theatre Company in West Norfolk on an afternoon of fun, learning and adventure. We will be exploring how to write children books and play African instruments. Ifeoma travels across Africa and you can follow her stories on her website, Ifeomaonyefulu.co.uk . This is a great opportunity for children in a rural village to look beyond and find out about a different world. See Ifeoma's catalogue on Amazon here. Great books anytime. Travelling to Sydney means more than just a visit down under. On our second visit this year to develop a literacy project for children and families we met with some great people; yr 4 children, school teams, parents, authors,publishers and many more. The project, Books go Walkabout, brings authors and illustrators to children from both sides of the world! Ambitious, yes but really exciting. Some of that eternal Aussie optimism catching hold. We are finding ways of working through the systems and enabling a dialogue to take place from one country to the other. It will share stories and bring new dimensions to children as authors from across the world can bring their perspective. Our first venture is with a school in Sydney and an English author, Ifeoma Onyefulu. Ifeoma travels to a different part of Africa most years taking the most amazing photos and building stories. This is followed by an Australian author, Lindy Batchelor sharing her work with a school near Cambridge. Much work to do in pioneering a new fledging venture and our work in business structures is a key part in making it a success. Ifeoma Onyefulu has just returned from Washington. She was a huge success and her books about life in Africa, illustrated with wonderful photographs were extremely popular. Her book Welcome Dede! was part of play reading session at Washington Covention Centre , with a number of other well known authors.The session brought the books to life as the play scripts were directly from the books and written by the authors. This is a great way to bring two huge continents of Africa and America together. There is much we can all learn from different ways of life, not least of which is that families have great similarities. Their values, hopes and dreams for their children are about living a great life with friends, family. Having time to share, to laugh and to love and to make the best of opportunities. Dolphin Booksellers has titles from Ifeoma available - information and great books always available on line. Ifeoma is a well known writer of children's books, using her photographs and text bringing family and community life in Africa into the western world. At the end of June in 2010 Ifeoma is visiting Washington DC. On 26th June she will be performing at the Washington Convention Center a play reading of one of her best loved books, Welcome Dede, a beautifully illustrated book of the naming of Dede by all the community. On 27th June she will delivering one of her exciting, interactive workshops at the Smithsonian National Museum of African Arts. (Image from Playtime at National Museum of African Arts). A great accolade for a great writer and illustrator. This is part of Ifeoma's programme about portraying Africa as a place full of colour, life and vibrancy and bringing this to America. Breaking down barriers, making bridges, encouraging communication and interest. There are organisations that are already active in this endeavour, the Africa- America Institute , which has a programme to help in education and training and the site America .gov which promotes partnership for peace and prosperity. At Dolphin Booksellers we are delighted to support Ifeoma in her visit to Washington and will update you on this blog just as soon as the photos arrive. Dolphin Booksellers - great books and information, always on line.